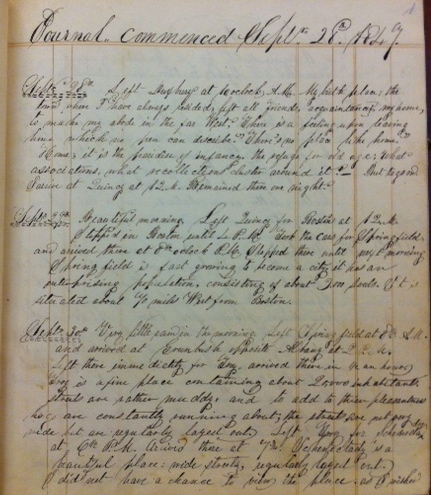 First page of Amherst A. Alden’s journal, 1847. The journal is currently being transcribed by a Duxbury High School intern, Gaby Davis. This entry was posted in Uncategorized and tagged Alden family, Amherst Alden, Duxbury, Erie Canal, Illinois, journal, Pekin, travel, Tremont. Bookmark the permalink.